I have always been a fan of Tiffany blue. Not only do I think it’s the shade of sophistication, but I love how it immediately freshens up a room and brings new life to tired looking furniture. Even the slightest pop of this iconic color can add a touch of elegance to a room or give it a retro vibe. 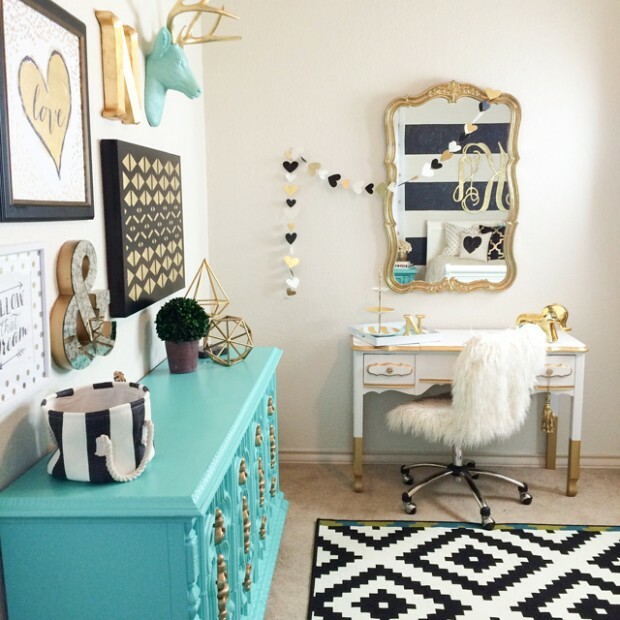 If you’re looking for Tiffany Blue paint to add to your space, try Dashing Dana (P1447-1) by Para Paints. Another option is to take a Tiffany box or bag and have it color matched at the paint store. 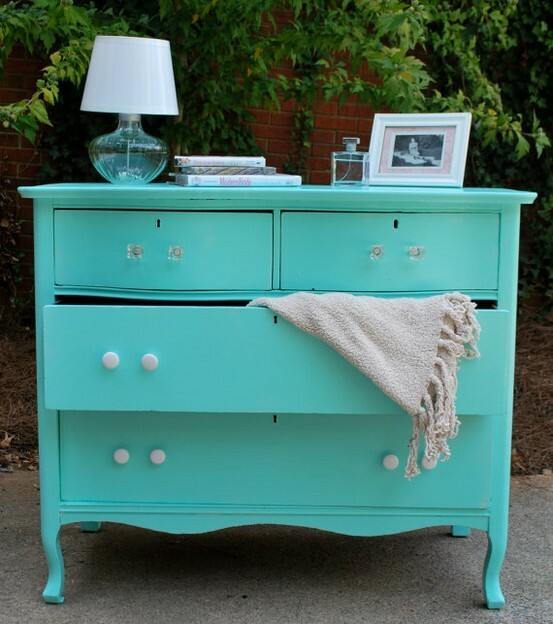 Love this tiffany blue cabinet spotted on Canadian House and Home! Do you love Tiffany Blue? Where do you like to use this color in your home? I agree, I love it! I know a lot of people say accent walls are out, but I also had heard that about stencils and wallpaper years ago. Hmmm, seems those are re-emerging again, too. I think that as long as things are done with style and elegance they are absolutely gorgeous. 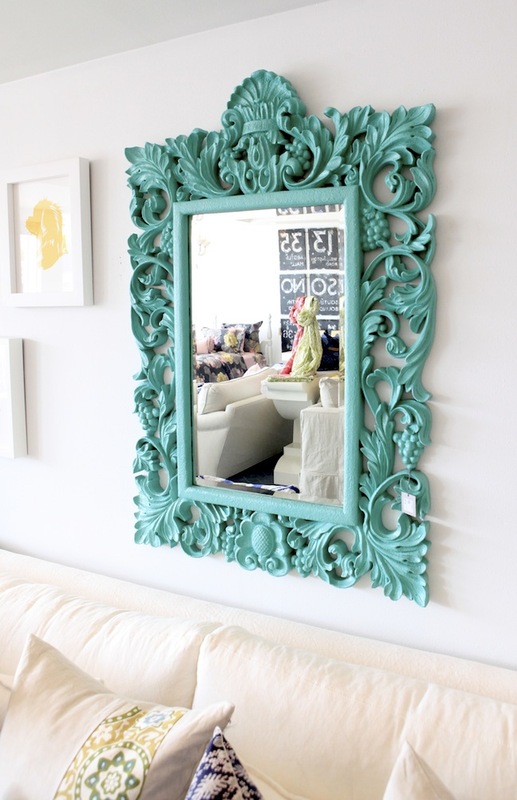 Even Tiffany blue on a focal wall. Some people despise painted furniture, I have both stained and painted. Lovely post, Shauna! I think the type of wallpaper and stenciling have changed, but they definitely aren’t out. Sometimes accent walls look dated, but used in the right way, they can be gorgeous. I personally like painted furniture to bring life and color to a space. Thanks for stopping by! love this color Shauna! i just painted my living room in a similar shade and let me tell you I feel like im on vacation every time i go in! Sounds beautiful! I love it paired with white. I love this colour and am planning to use it as the colour for my baby’s crib – love all the inspiring shots here! Love this as a fresh jolt of colour! That dresser is amazing. It’s a Tiffany Blue Box color matched. Most paint companies will do this for you.